*Ft. Meade City Mobile Home Park Golf Course v Garrity was settled amicably, and I have never violated the restraining order. My third impulse is to withhold the final recommendation for our gaucho’s Gulf Coast golf tour, but that would be a disservice to my Top 50 subscribers. 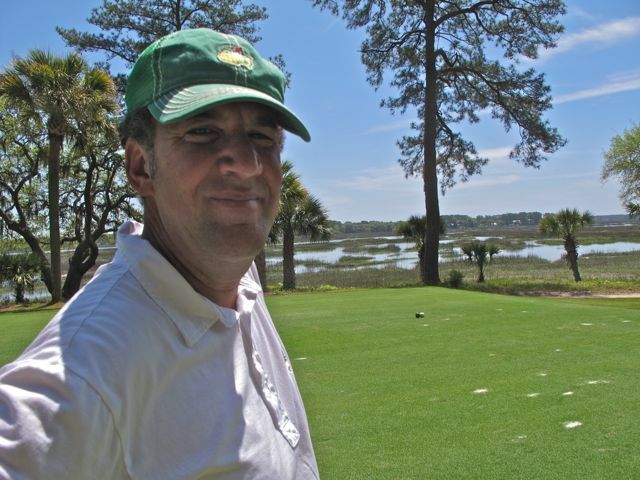 So, for their sake, Roseman, not yours, I’m recommending the 51st-ranked Chechessee Creek Club in Okatie, S.C. Designed by Bill Coore and Ben Crenshaw, Chechessee Creek is probably the finest example of swamp sorcery this side of the Robert Trent Jones Golf Trail. The minimalist philosophy is at work here, although I prefer the term “understated.” There are no waterfalls, no tabletop tees, no fairway-bunker complexes that rival the Sahara. 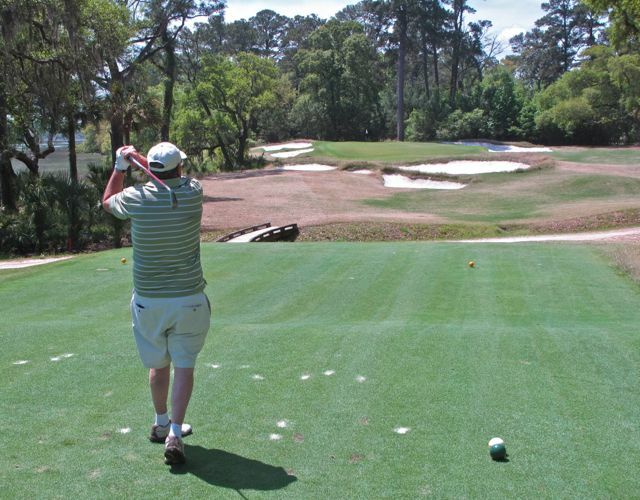 It’s simply a challenging, well-constructed golf course that just happens to be situated in a backwoods setting where the plunky notes of Dueling Banjos filter through the pines. Anyway, we scored Chechessee Creek as follows: Van Sickle, 4½ stars. Henson, 8 out of 10. Bamberger, “a rollicking trek through the Faulknerian recesses of the marginal South … shade-dappled, mossy … It’s magical!” Garrity, 11.94. Your loss, Rosey. I hope you enjoyed the beach. Top 50 on TV: Nothing this week, but we added to our already-stuffed trophy case when our founder and CEO, John Garrity, won the amateur long-drive contest at last week’s Time Warner Cable Long Drive Championship Pro-Am at 50th-ranked Eagle Bend Golf Club in Lawrence, Ks. His winning drive, had anyone bothered to measure it, would have been well over 250 yards. 250 yards wins a long-drive contest in Jaybird land? Heck, Missouri’s John Daly can best that with a putter and a 6-pack! I obviously phrased it poorly. I should have written that “a 66-year-old Missourian” — that would be me — “won a pro-am long-drive contest against an amateur field composed mostly of Kansans”, the implication being that even Missouri’s old and infirm can outdrive Kansas’s best amateurs. I chose not to take that strong line because I have many friends in Kansas, and also because my drive finished about a hundred yards behind our long-drive pro. That said, my drive actually flew considerably longer than 250 — probably 275 or 280, which is not bad for a decrepit old man. And it was dead center in the fairway, so I should have gotten the straight-drive prize, too. And one for modesty.